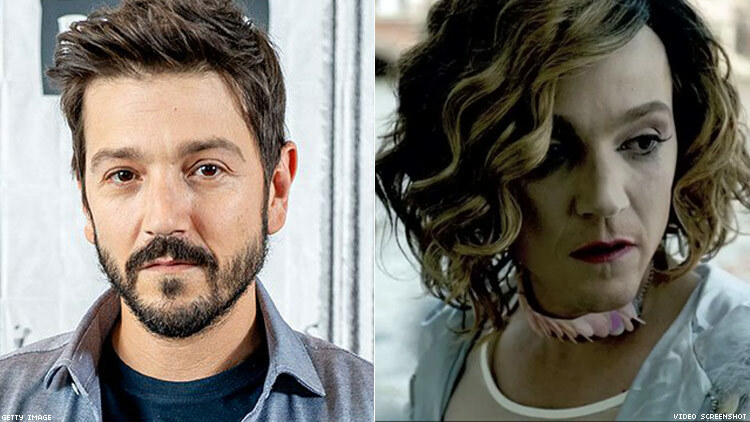 After previous reports indicated that Diego Luna played a transgender woman in the film Berlin, I Love You, the film’s director, as well as the film’s credits, confirm that Luna’s character is actually a drag queen and not a transgender woman. LGBTQ news site NewNowNext originally ran an exclusive story identifying Luna’s character as transgender, accompanied with a clip of Luna in the film. After NewNowNext’s exclusive, several outlets, including Out, ran stories citing the original reporting. NewNowNext editorial director Matthew Breen told Out that the miscommunication began when a site contributor asked for confirmation from the film’s publicist, regarding the names of the actors in the clip as well as Luna’s gender identity. The email confirmed the name, but Breen said there was no correction regarding Luna’s character’s gender. Breen added they had no press release or press notes at the time of publication. After the initial publication, Out received press notes from film critic Danielle Solzman, who initially flagged the discrepancy on Twitter, that indicated Luna’s character was simply credited as DRAG QUEEN. Characters in the short do not have names. Out also obtained a copy of the film and verified that the credits reflect that Luna is a drag queen. At the time of publication, news of Luna’s casting harkened back to other, similar castings of cisgender actors in trans roles, like Matt Bomer’s role as a trans woman in the film Anything or Scarlett Johansson taking, then eventually turning down, the transmasculine lead in Rub and Tug.